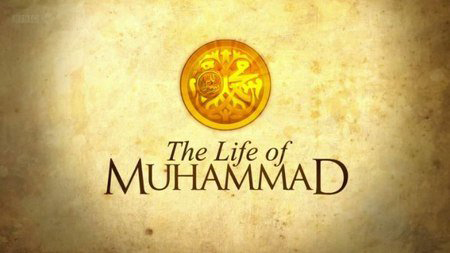 The significance of BBC Two’s recent broadcast of the first episode of the documentary, the Life of Muhammad, who the BBC describes as “a man who - for the billion and half Muslims across the globe - is the messenger and final prophet of God” is palpable. Rageh Omaar, journalist and Al-Jazeera’s Middle-East correspondent, narrates the life of the man who “changed the course of world history”, beginning his journey from the land in which this remarkable life story began 1400 years ago – in the city of Mecca. From the outset, the relevance of the subject matter is made very clear. Acknowledging that while for Muslims every facet and detail of this life is known, outside the Islamic world next to nothing is known, much less understood about Muhammad: about his personality, his life and his contribution. The questions raised at the start are those which admittedly are akin to the elephant in the room, which citizens of the modern world, especially in the west would find most tangible: about the man himself, his message, why non-Muslims and non-Muslims are “divided over his legacy”, how his life and times continue to affect today’s world, and, most pertinently, whether they are a “force for good or for evil.” Omaar does not shy away from confronting these issues head-on. With an impeccable British accent, Omaar does not neglect to display the humility and care that becomes treating such sensitive subject matter. The salutation recited by Muslims at the mention of Muhammad’s name, “peace be upon him” is the clearest example. Drawing on the expertise and observations of some of the world's leading scholars and commentators on Islam, the program examines key events in Muhammad’s life and explores the indelible impact that these had on his outlook and on his personality. In describing the Prophet Muhammad, Omaar perpetually reminds viewers of who sees him and how they see him, steering clear of unqualified statements. For Muslims, for instance, he is “the last in the long line of prophets” extending from Adam the first man, the receiver of divine revelation. The wide gamut of experts presented in this episode is reflective of the attempt at objectivity by the broadcaster. One gains an impression of this intention in the first one-and-a-half minutes of the episode with the words of Karen Armstrong juxtaposed with those of Robert Spencer. Though, one cannot help but wonder why a self-proclaimed specialist with a blatant anti-Islam stance is consulted in lieu of representatives of scholarship in the field. Not only the range of opinion, but the themes addressed encompassing Prophet Muhammad’s marriage to Khadija his first wife and his utmost devotion to her, his illiteracy, and even the debates surrounding the satanic verses, exemplify this endeavor. The immense challenge of presenting this life story without portraying the Prophet Muhammad himself is axiomatic. Taking its place as the very first biographical documentary without visuals of the subject or dramatic reconstructions of his life, the Life of Muhammad’s success is no small feat. Describing these visuals and reconstructions as the curse plaguing historical film-making “that survives despite withering responses from viewers and reviewers”, The Guardian’s Mark Lawson wrote prior to its screening that this was precisely what viewers would be looking forward to, citing David Starkey’s argument that historical programs can in fact be actualized via words alone, with portrayals of art and architecture where relevant. As Omaar explains, for a man about whose life the written sources are extensive, the lack of visual imagery is not of consequence. Please type '664' into this field.